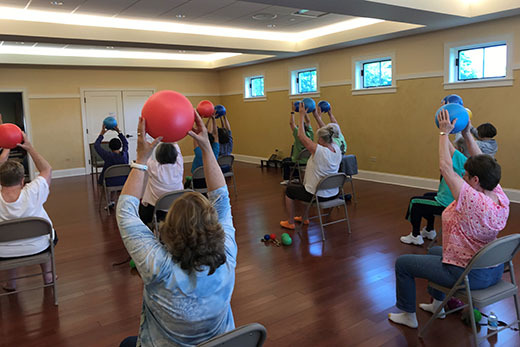 These free weekly classes are designed to introduce or help patients return to movement, meditation and fitness during and after cancer treatment. Classes meet each Wednesday in Prentice Women’s Hospital. Relaxation and meditation techniques to help people affected by cancer reduce stress, manage side effects of treatment, and improve focus. New participants are encouraged to contact LivingWell Wellness Associate, Sheri Minnick, MS, ERYT, at 630.262.1111 or sminnick@livingwellcrc.org to determine the best fit for your individual goals. All classes can be performed seated, if desired.